I'm just way too cheap frugal and wont continue to buy something that I can figure out how to make. So I grabbed my laptop, some ribbon, & basic supplies and learned how to make boutique style bows from this website. 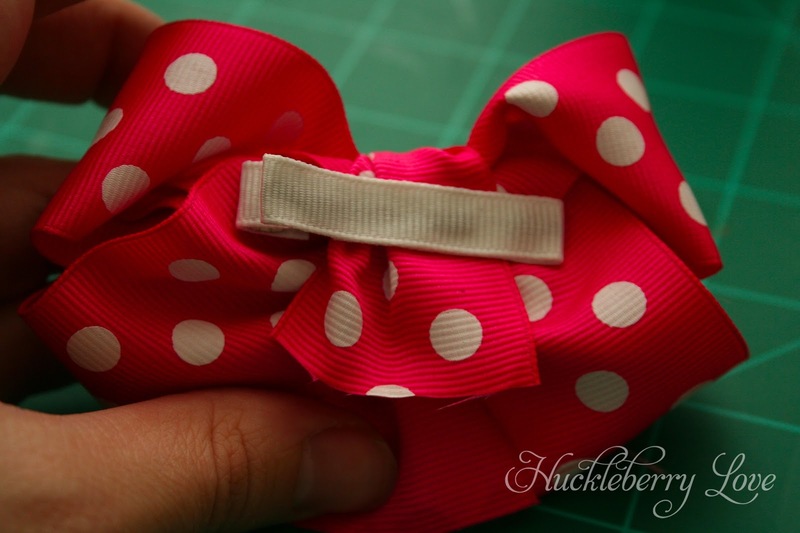 I say boutique style because they aren't the classic, almost impossible to make, boutique bows that require sewing. 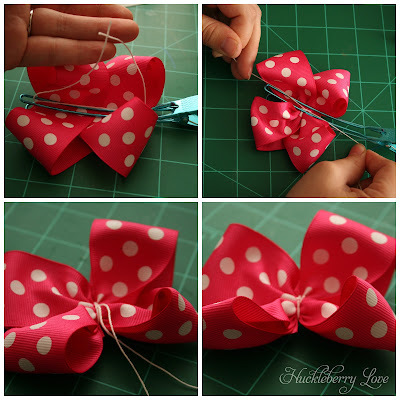 These are quick, super cute, and wont have you pulling out your hair while making them. They make great gifts too! Afraid to try your hand at these? Don't be! I've shared these with most of my mom friends and everyone gets the hang of it pretty quickly. 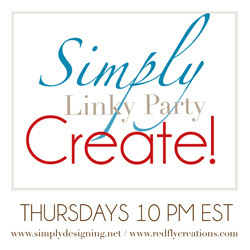 So follow along and have a bow night of your own! 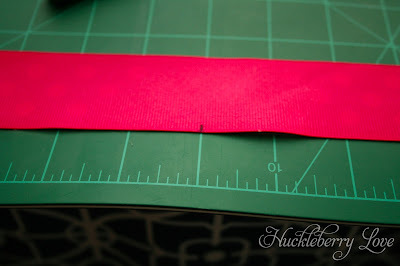 First, measure 22" and cut on a straight line. 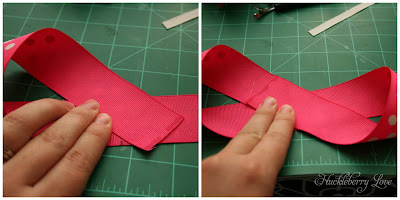 Fray check or heat seal both raw edges of the ribbon. 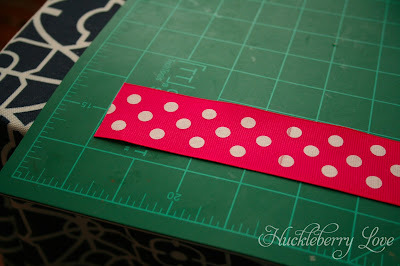 Make a small mark at the midline (on the wrong side) of your ribbon. Take both ends and fold inwards in opposite directions, creating a lazy 8. Make sure to overlap the ends across the midline mark. Fold in both ends of your 8. Overlap slightly and clip into place with the jumbo salon clip. 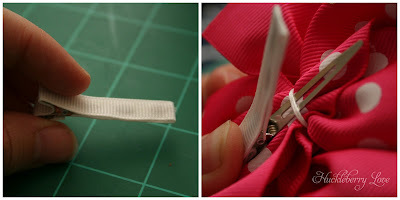 Loop embroidery floss around the bow (inside the clip) 1.5 times, bringing your strings on opposite sides on the top of the bow. Tie in a square knot. Trim. Next is the center knot. Take your remaining ribbon and tie into a knot. 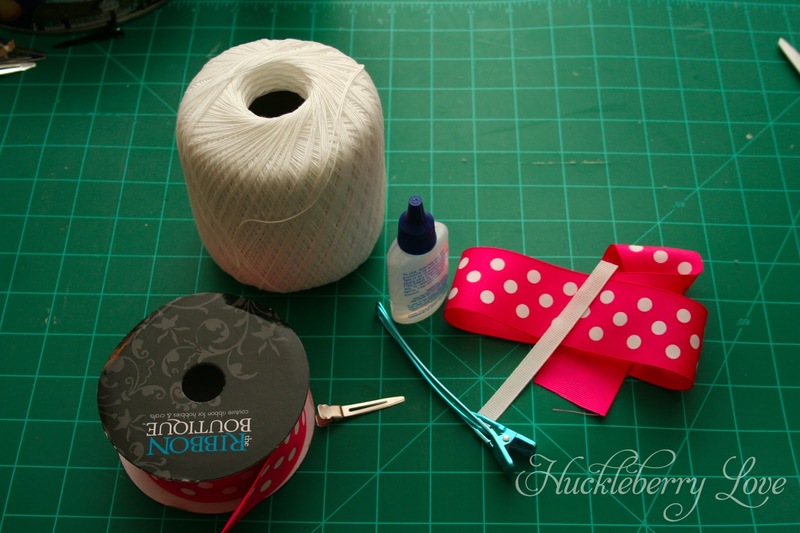 Leave it a little loose for a more puffy knot, and tighten for a small knot. Put a drop of hot glue onto the center of the bow (over the embroidery floss). Press knot into place. Now, for the alligator clip. Line your alligator clip, or buy lined alligator clips, and place the straight edge through the floss. 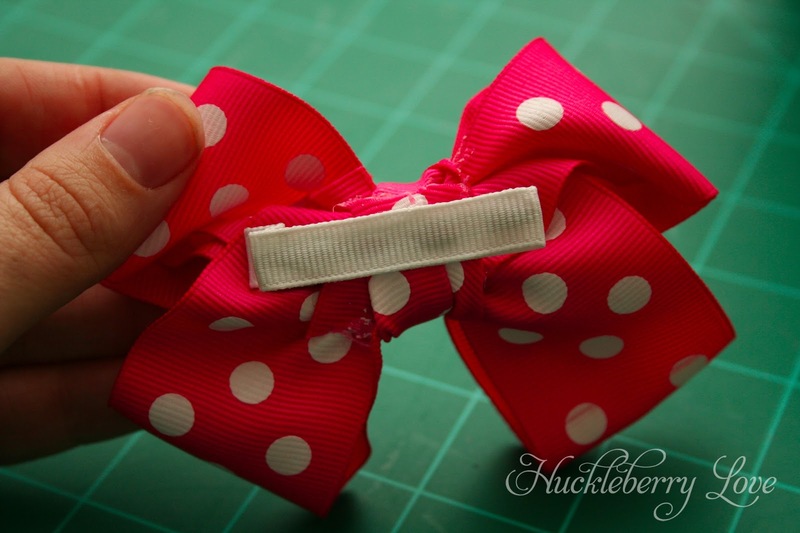 Take one knot end and pull taut in between alligator clip. Trim the end so that you have enough to pull to get it back into position, but so it will still be hidden from the front of the bow. Hot glue into place. Do the same for the other knot end. 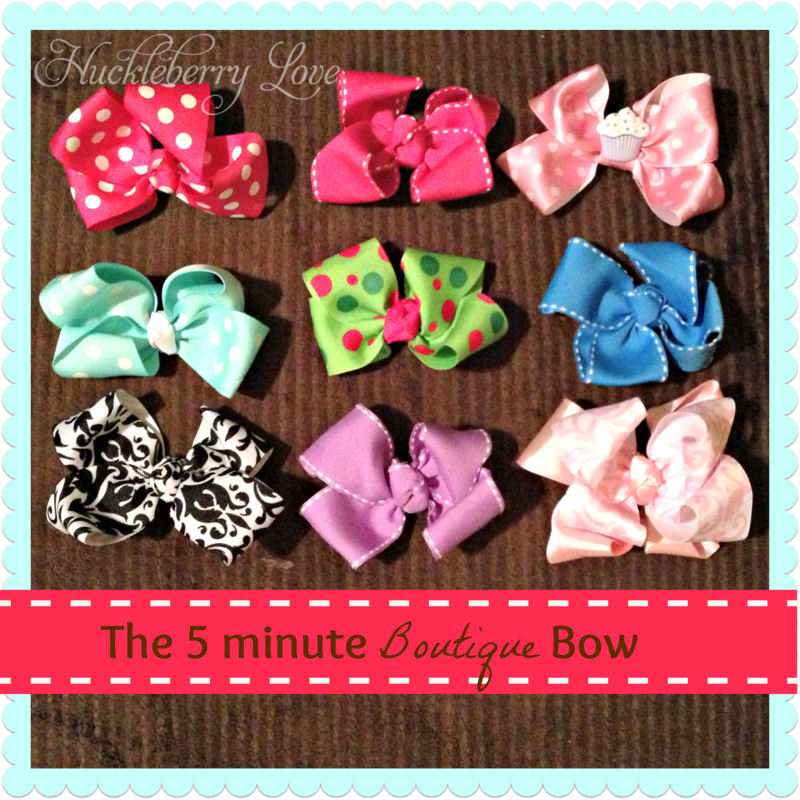 Are you as bow-obsessed as I am? What's your favorite kind to make? 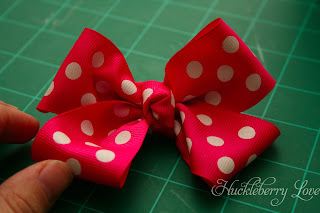 I started out buying bows for my 2 girls too and firured I could make them as well. I like the ribbon flower ones best. 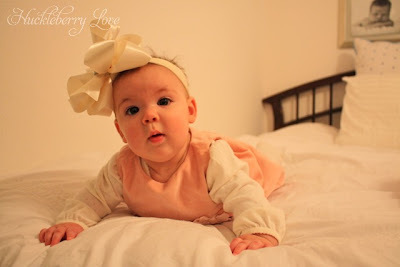 My girls love handing be 4-5 different ribbons and making special requests. 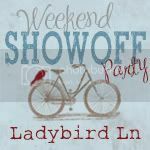 Oooh I'll have to look into making some ribbon flowers :-) Thanks for stopping by!